By the time a child is 5 or 6, he or she should be able to understand how an allowance works and the reasons for receiving it. When deciding to pay a child an allowance, the family should first talk together about how he or she will be using the money. Is the plan to save it or spend it? Will a parent need to approve any purchases? Learning to consistently put away a portion in a savings account and perhaps gift another portion to charity become valuable life lessons. 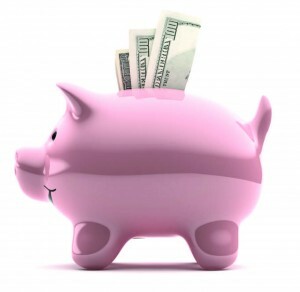 Many parents adopt the “three piggy bank” method to teach these lessons. My 20 years of experience working with parents and teens has shaped a practical framework of four proven strategies to help a family wisely communicate this mutual commitment and set parameters, including a policy as to the amount and frequency of payment. Allowance decisions can differ from one child to the next in the same family. Personal responsibility: There should be no financial reward for things that children need to do for their own health and development, such as responsibly heading to bed on time after brushing their teeth. One father shared that he had to pay his son to brush his teeth every morning and night, so who was in charge? Family or social responsibility: Tasks that contribute to the family or social environment should not result in financial reward, such as washing the dishes or reading to a younger sibling. One mother, after explaining the plan to her children and consistently applying it, saw their attitude transform in just a couple of weeks. Instead of fighting, the three kids now work together each night to clean up after dinner without arguing. Paying for completion of specific tasks: Determine and agree to guidelines that include the general tasks or duties that are expected, the performance of which will result in earning the specified allowance. By defining what is over and above personal, family or social responsibility, parents encourage and reward children for their extra efforts. Those same kids agreeably cleaning up after meals may also be thinking of extra chores around the house to earn their allowances. With an entrepreneur’s mind­set, a child finds ways to create value and earn money through applied creativity. Encouraging a child’s entrepreneurial spirit: Inspire children to think of creative ways to earn money and watch in pleased amazement at how creative they become when they really want something. One 12-year-old now has a business collecting cans from all of his neighbors and is earning $100 every other week. He was able to buy the faster skateboard he wanted and even justified it as a business expense, because he could collect the cans more quickly with it. Providing structure and enabling communication in a family’s approach to allowances critical to ensuring that children learn good money habits that will serve them well for life. It’s a mutually constructive way to teach principles related to the importance of saving, spending less than they earn and consistently giving back to their community. The answer to the question of whether or not to pay a child an allowance and under what conditions rests with the parents. The greater and more vital question is what mindset do they want to create and nurture within their children: a sense of entitlement or an entrepreneurial spirit? The foundational choice is theirs. Sharon Lechter is CEO of Pay Your Family First, creator of the ThriveTime for Teens lifeand money reality board game and co-author of Outwitting the Devil, Three Feet from Gold: Turn Your Obstacles in Opportunities (Think and Grow Rich) and Rich Dad, Poor Dad . A recognized financial education expert, she is a member of the National CPAs Financial Literacy Commission. Learn more at SharonLechter.com.